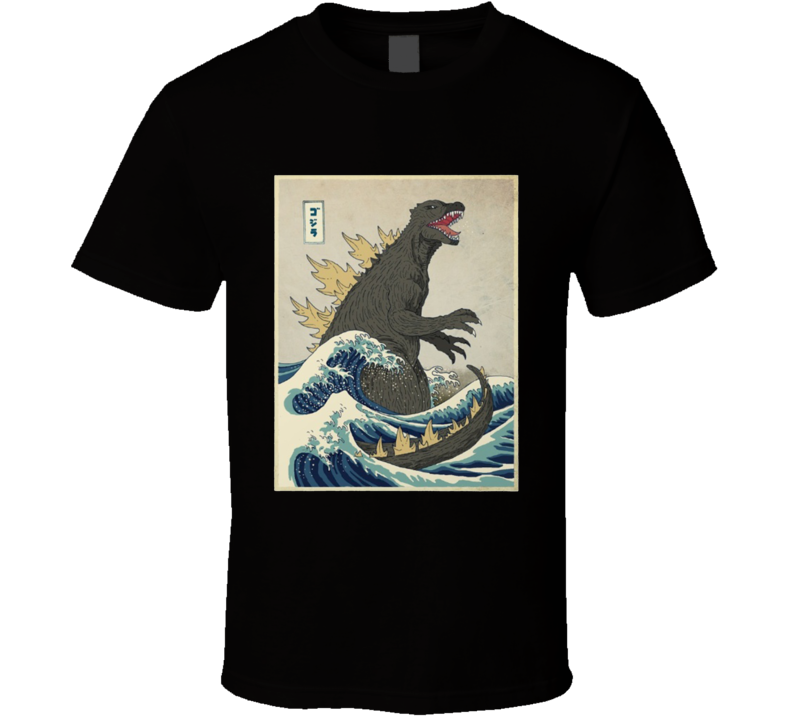 Get this Black godzilla The Great Wave at Kanagawa 1829 by Katsushika Hokusai Painting Print on Wrapped Canvas T Shirt today which is available on a 100% Cotton shirt. 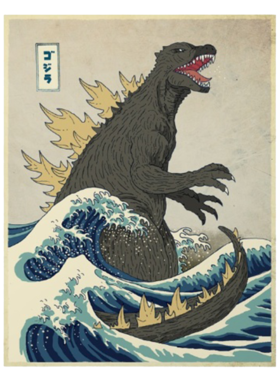 The godzilla The Great Wave at Kanagawa 1829 by Katsushika Hokusai Painting Print on Wrapped Canvas T Shirt is available in adult and youth sizes. T-Shirt is shipped out via USPS first class mail with tracking number. All prints are a maximum of 11 x 13.5 inches.